Conditions in steps can be used to control whether a DynaForm, Input Document or Output Document is displayed to the user or skipped. In addition, the PMFRedirectToStep() function in triggers. can be used to redirect to a particular step (DynaForm, Input Document, Output Document or External Step) inside a task. 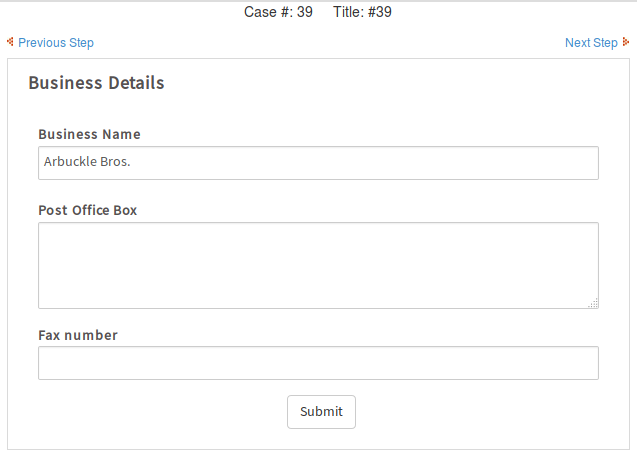 This example shows how to use a condition to display DynaForms based on the selection in a dropdown box. 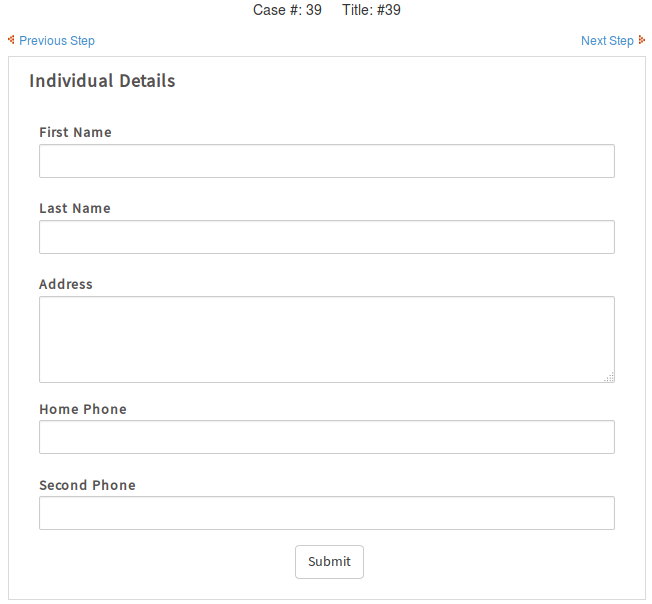 This form to select the "Client Type" is the first step in the task. 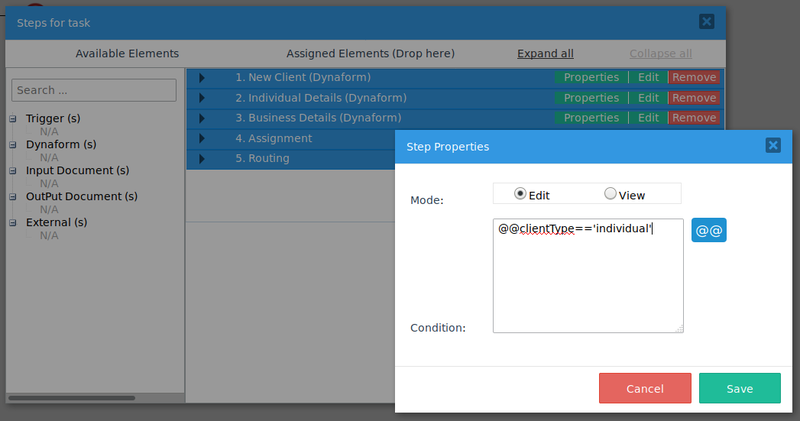 The second form is an "Individual Details" form that will only be shown to the user if "Individual" was selected in the "Client Type" dropdown box. 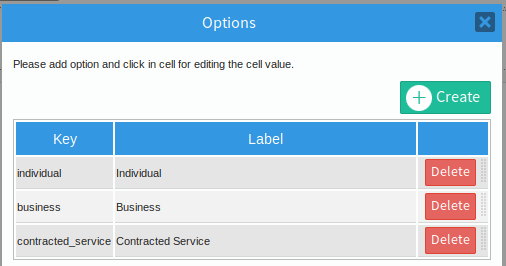 The third form is a "Business Details" form that is only shown to the user, if "Business" or "Contracted Service" was selected. This page was last edited on 25 September 2018, at 02:30.